Are you providing ALL your students the opportunity to go to college?" 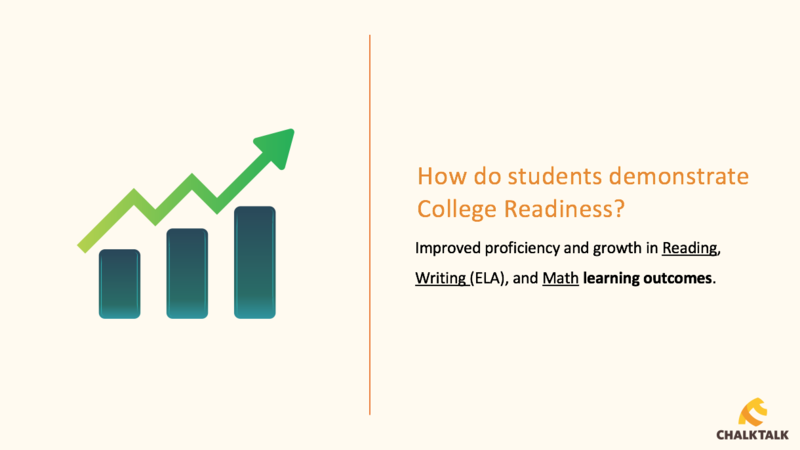 "College readiness" means that a student can enter a college classroom—without remediation in reading, writing, or math—and successfully complete entry-level college requirements. 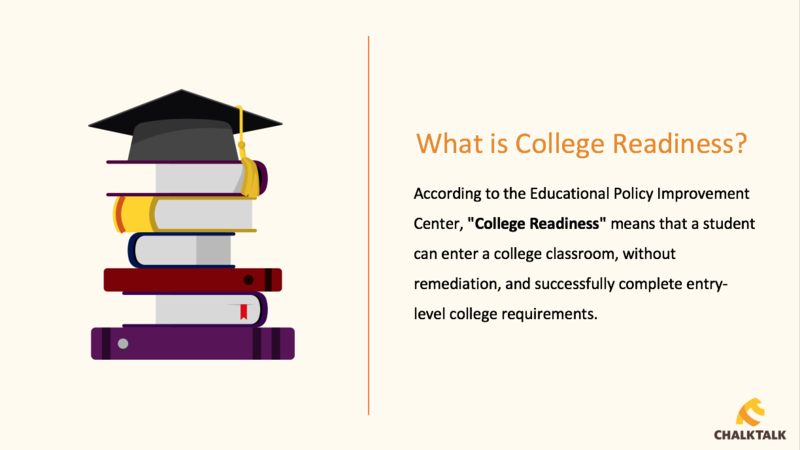 Students that are enrolled in remediation courses in their first year of college have only a 17-39% graduation rate [CollegeBoard, 2004]. 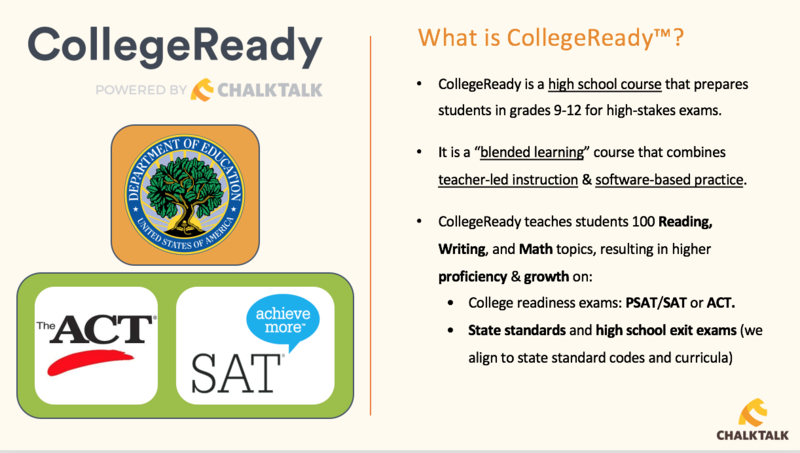 1) college readiness standardized exams—namely the SAT and ACT. 2) high school exit exams for reading, writing, and math. Unlike other apps that simply tell you where your strengths and weaknesses are, our deep learning algorithms tell you what to study next and when to study it. 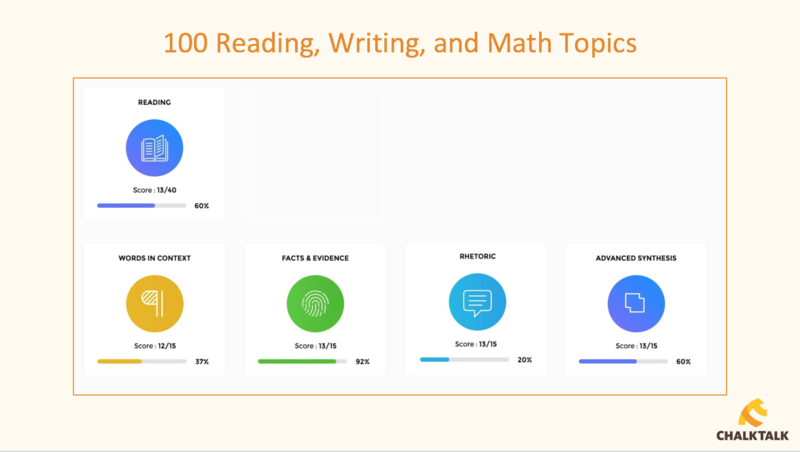 Students can use our app as a self-study tool, or if the school buys it we will create a a custom implementation plan for in-classroom use. ​Chalk Talk can be accessed anywhere anytime—all you need is a web browser and an internet connection. Our app is device-responsive and works great on tablets, phones, laptops, and desktop computers. 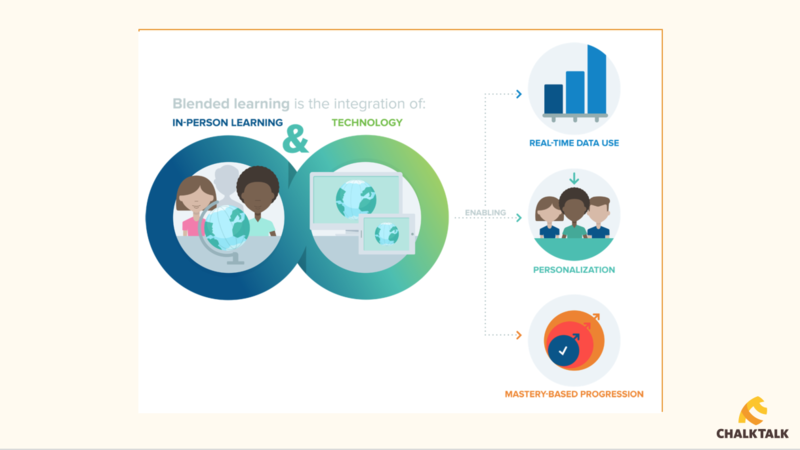 Chalk Talk app brings you the experience of a one-on-one tutor, dynamically adapting to your skill level and personalizing content to your learning needs.